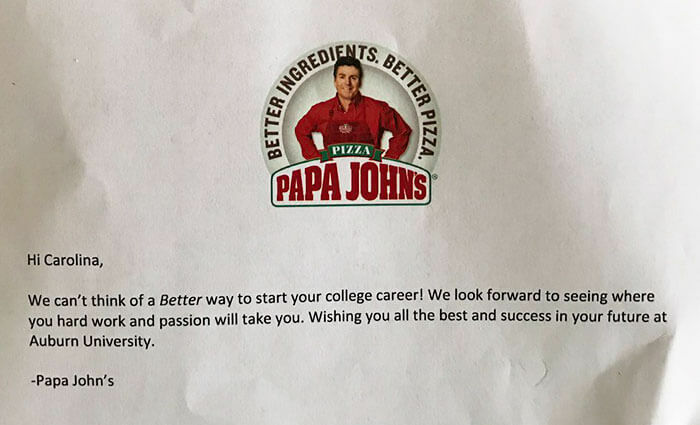 Carolina Wilson, a teenage girl from Brentwood just managed to get herself into one of the most popular university in America and maybe in the world, by writing an essay about her undying loves for Papa John’s pizza. 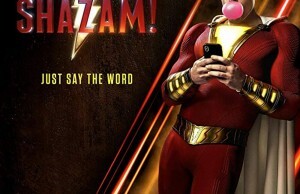 How about that level of creativity? 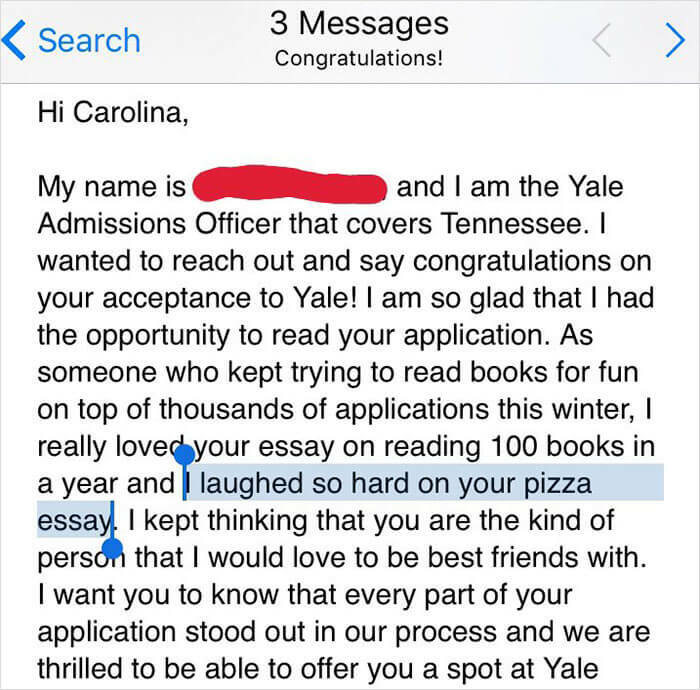 But the entrance into Yale is not the only thing that the pizza essay got Carolina. 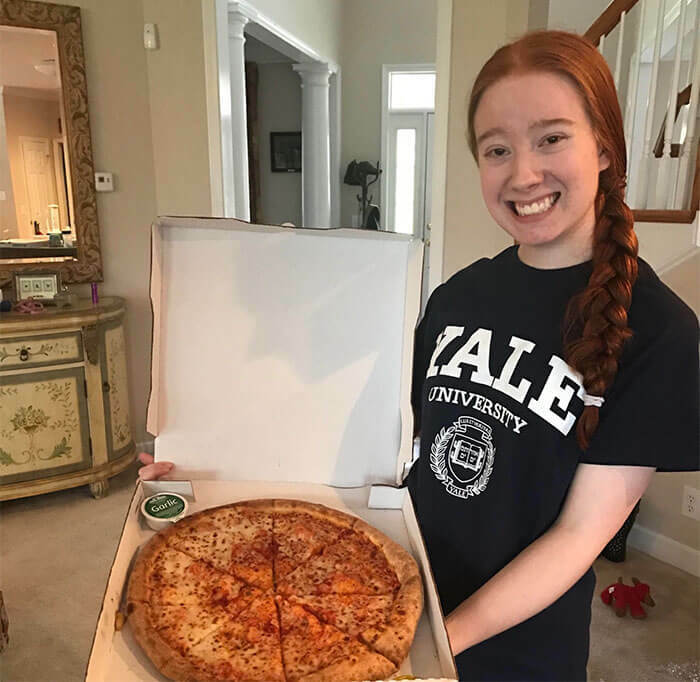 After tweeting Papa John to let them know that her essay about their pizzas had gotten her into Yale, the company gave a beautiful answer: they offered her a free pizza party for her dorm and…hold your breath…free pizza for a year! Moreover, Papa John himself made a special video just for Carolina. 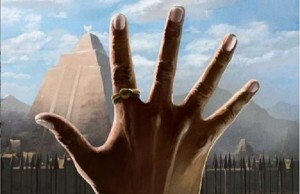 You can take a look at it below. 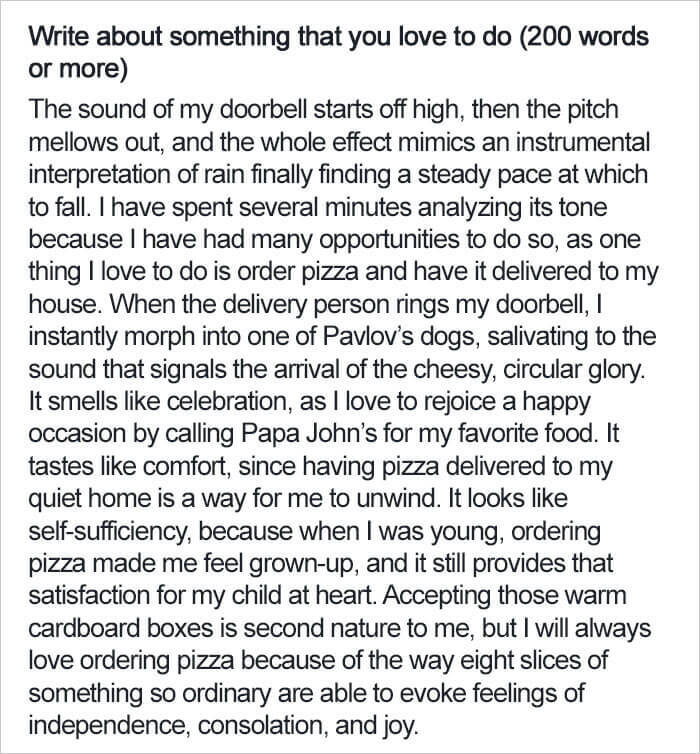 “When the delivery person rings my doorbell, I instantly morph into one of Pavlov’s dogs, salivating to the sound that signals the arrival of the cheesy, circular glory,” wrote Carolina Williams in her essay about something she loves doing. The answer came quickly. “I laughed so hard on your pizza essay. 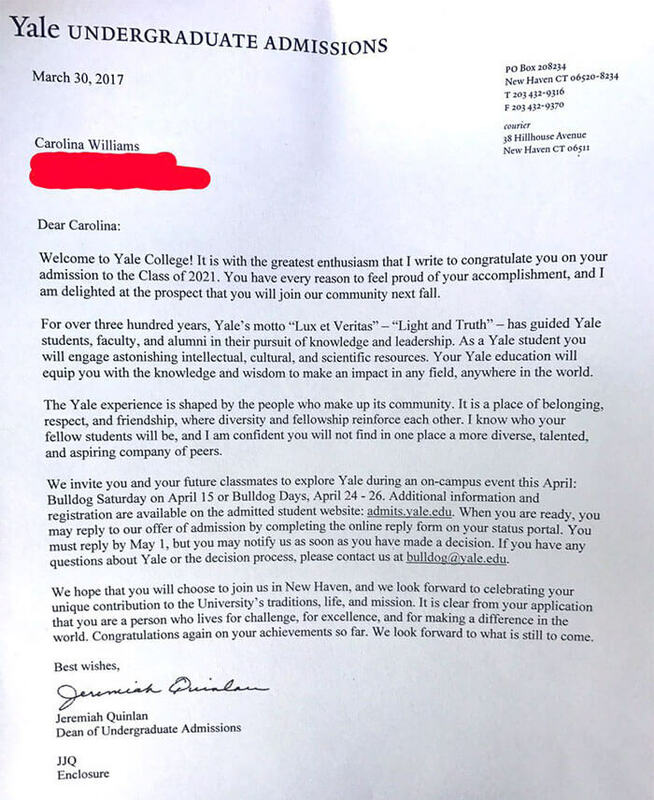 I kept thinking that you are the kind of person that I would love to be best friends with”, wrote the Yale Admissions Officer. And the great news didn’t stop there. 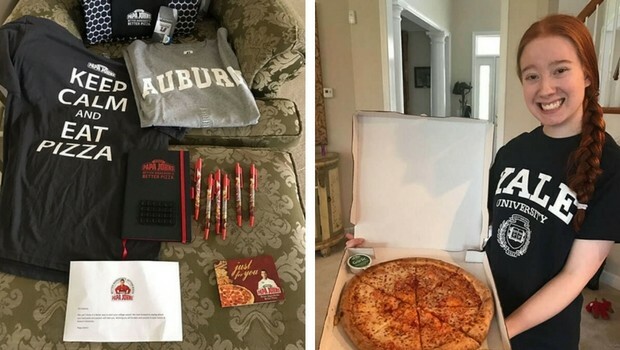 After congratulating her in the special video, Papa John offered Carolina an internship at the Papa John’s headquarters in Louisville, KY next summer after she completes her freshman year at Auburn University (yes, she chose Auburn over Yale). 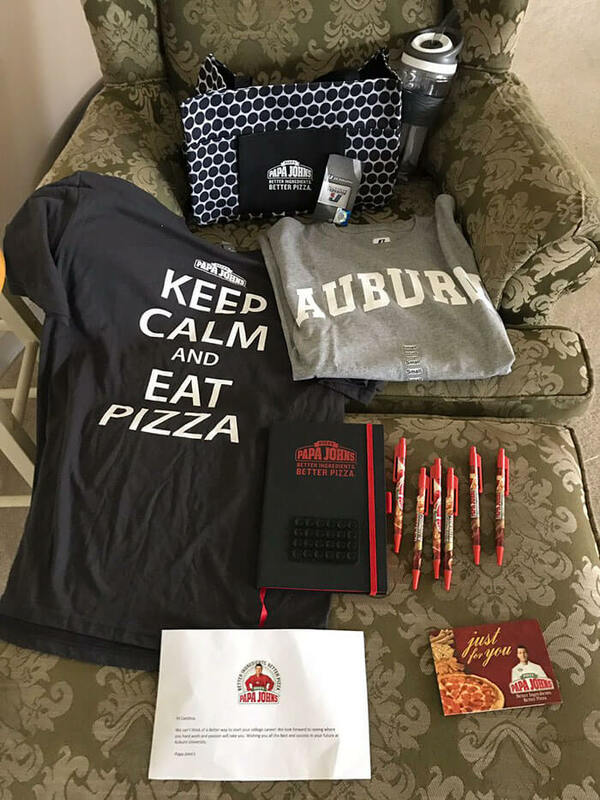 Also, she received some other small “trinkets”, like a Papa John’s journal and pen set, a Tervis Tumbler, backpack and umbrella. The essay she wrote was so good that it actually got her into Yale! The essay got such a good response she got a message from them pretty fast telling her she was accepted!